Hauntings are considered to be where a place (or environment) is inhabited or “haunted” by apparitions of spirits or ghosts. As differs from a "possession" where it is an individual is the target of the paranormal activity, (see: “Psychic Protection” ) though both may be occuring simultaneously. ﻿﻿In general, most paranormal experts would agree that hauntings are spirit activities tied to a particular location, but that is pretty much where the agreement ends. Other explanations of hauntings often reflect differing ideas arising out of traditional religious and cultural backgrounds. This presents a significant problem in the field of paranormal investigation as the investigators prior religious or cultural assumptions about the nature of ghosts may unconsciously hinder a truly unbiased scientific approach to discovering the true nature of the phenomena being studied. 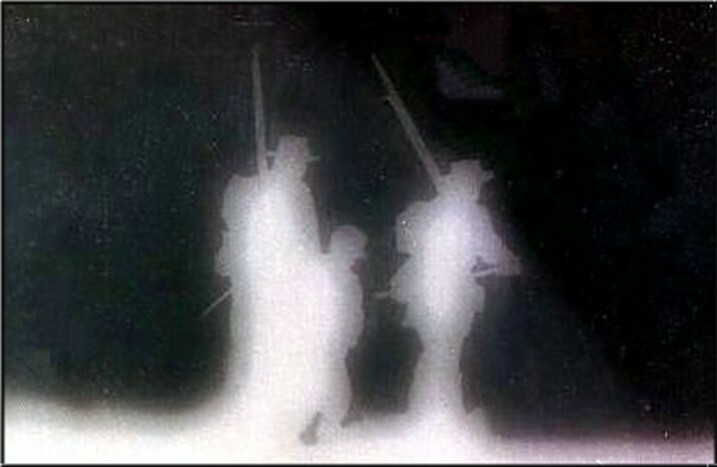 Residual hauntings occur when something traumatic happens, such as on a battlefield, where intense energy leaves an imprint of the event. A residual haunting is a "recording" of the event. Like a recording, the events will replay over and over and over again and the entities involved in this residual haunting are unaware of their circumstances and apparently unaware of being observed from this realm. When there is an interaction between the entities and the observer the entities seem to not to be able to comprehend what is occurring. There are reports that during the making of the movie “Gettysburg”, while filming on the battlefield, some “ghost soldiers” were seen to drift into formation with the “movie soldiers” during scenes, in lunch lines and following them onto buses. Probably the most common and well know type of haunting, a poltergeist is a spirit, usually mischievous and occasionally malevolent, which manifests its presence by making noises, moving objects, and assaulting people and animals. The word "poltergeist" comes from the German words "poltern," which means "noisy", and "geist," which means "spirit." Poltergeists are a different sort of spirit from the typical haunting entity. These particular spirits seem to be able to interact at will with the material world, sometimes with malevolent force. The most common types of poltergeist activities are the moving or throwing of objects, loud noises and vile smells. It also seems that poltergeists have adapted to modern technology and have been known to cause interference with telephones and electronic equipment, turning lights and appliances on and off and in some cases have been known to tinker with email and other computer communication. Poltergeist activity almost always occurs at night when someone is present to act as an “agent. The agent seems to serve as a focus for the activity and is usually a female going through puberty. Though much rarer than a poltergeist haunting, doppelgangers are another well know type of haunting and a favorite subject of fictional horror stories. A doppelganger is an entity that manifests in the image of the person it haunts and is considered to be like the person’s evil twin. In most cases the doppelganger is a harbinger of misfortune and is often an omen of death placing the victims of these haunting activities in grave danger. Some paranormal investigators theorize that the doppelganger is a projection of the individual as he or she exists in an alternate universe and the doppelganger is out to destroy what it considers to be its rival for existence. In religion, folklore, and mythology a demon is a supernatural being that has generally been described as a malevolent spirit, and in Christian terms it is generally understood as a fallen angel, angels and demons being basically the of the same form, but demons being no longer subservient to God. Demons have never had a mortal human form and are pure energy entities. Demons are deceivers and they seem to feed on chaos and destruction they cause. 1) As a beautiful angelic being or one of saintly bearing that will manipulate the person to unknowingly commit an evil or destructive act. It is traditionally believed that when demons appear in this “holy” form they will invariably appear standing with their feet obscured by a cloud. It is said that the cloud hides the cloven hooves of the demon. 2) As a horrific, evil looking monster, incredibly hideous to look at and striking terror in those who see it. 3) As a black mist, black fog, black shadow, black pool or black smoke. Orbs are pale and circular anomalies seen on stills photographs (usually from digital cameras) and video recorder footage. Circular light anomalies seen with the naked eye are often observed, and are also linked with the paranormal, but these have little to do with the orbs that have been linked with hauntings. Though there is overwhelming evidence that orbs are out of focus bits of dust or water, however many to believe that they are paranormal in origin and are some sort of energy manifestation occurring in areas of intense spirit activity or UFO sightings. This is a extremely strange type of entity manifestation that is different from typical haunting activity. Shadow People appear as shapeless dark masses or dark humanoid shapes, often seeming to be made up of dark smoke or dark steam and mostly seen in peripheral vision. Sometimes they are described as being a two dimensional form, a cut-out from the fabric of the universe devoid of depth or dimension. Other encounters have them described as seemingly made up of pixels. Both descriptions may be valid, reflecting different levels of manifestation on this plane, similar to the description of the apparition of garden fairies that range from shimmering lights to manifestation in a physical form. The common element though in Shadow People sightings is that they are always dark black, sometimes so black that they look like a black hole in the landscape upon which they appear, but the hole has a vaguely human form. 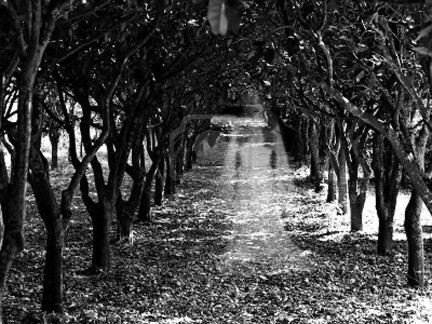 Those who have encountered Shadow People, report they do not feel these entities are human in nature and they also have reported experiencing a feeling of dread during the encounter. Like orbs, they are a recently examined phenomena and investigators have yet to come up with an explanation as to what these Shadow People are and what their intention is in manifesting. Additionally, a number of people reporting shadow people sightings have described an entity that has come to be known as "Hat Man". The Hat Man almost exclusively wears a fedora and sometimes has red, glowing eyes. Witnesses report sensing that it is extremely malevolent and that it is feeding off their fear and unlike the common form, Hat Man does not flee when observed but will menacingly appear to hold its ground. Heidi Hollis, who coined the term "Hat Man" believes this entity may not be part of the Shadow People phenomena, but is a different and extremely malevolent presence. In the religion and cultural lore of the Native American Southwest, the Navajo, Hopi, Utes, and other tribes there medicine man and women who have attained the highest level of priesthood in the tribe, but chose to use his or her power for evil by taking the form of an animal to inflict pain and suffering on others. Skinwalkers are most frequently seen as coyotes, wolves, foxes, eagles, owls or crows and are not creatures to be trusted. Though religiously significant amongst these Native American tribes, similar legends are found around the world , (such as the legend of the werewolf), and the stories have many similarities. Those who have talked of their encounters with these evil beings describe a number of ways in which a skinwalker will try to inflict harm. Some describe hearing knocks on the window or banging on the walls. Others have spotted an animal-like figure peering in through a window. Common to all these types of haunting are certain phenomena that often accompany a haunting. Unexplained noises - footsteps; knocks, banging, rapping, and sounds of something things falling. Sometimes whispers or the sounds of crying might be heard as well. Lights turning off and on. This can also happen with TVs, radios and other electrically powered items. Strange pet behavior. Dogs may bark at something unseen or refuse to enter a room. Cats may seem to be "watching" something in the room or may seem to be observing something in a mirror. Feelings of being watched or being touched. Cold or hot spots. Cold spots are classic haunting symptoms, but any instance of a noticeable variance in temperature without a discernible cause could be evidence. Unexplained smells such as the distinct fragrance of tobacco smoke or a perfume that you do not use. While these things do not indicate a haunting in and of themselves they are still phenomena to be watched for in determining the actual presence of a haunting.